Energy and Oil …. Friend or Foe? This article, originally scheduled for the Q 3 Newsletter, accidentally hit the cutting room floor. Here is an abbreviated version, with the full article to come in the Next Newsletter. As mentioned at the end of our Earnings Article in our Q3 Newsletter, energy has made up a great deal of the drop in earnings for the entire market as a whole. Just as vertical drilling and the various Shoal plays came on-line strong, the price as dropped like a rock. 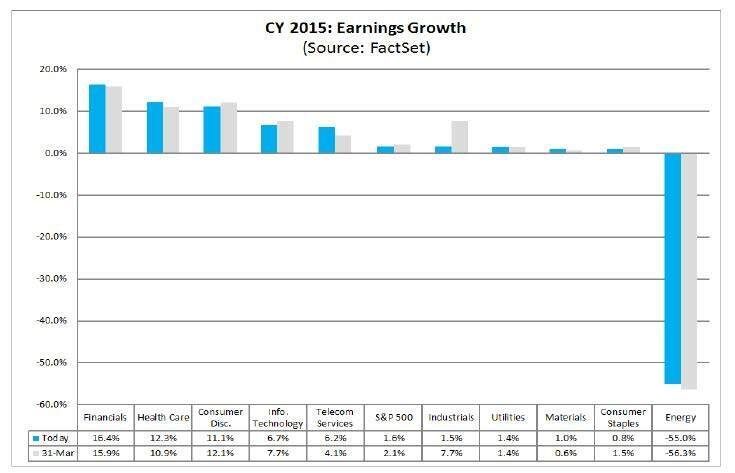 This from FactSet: EPS estimates for 2015 — Energy is the far right diving down! So as a consumer we are happy, but greatly overshadowed if we invest, work or have any related dealings with the energy area. Yep…that’s Energy expectations roaring back next year. Never go “all in” or “all out” ! 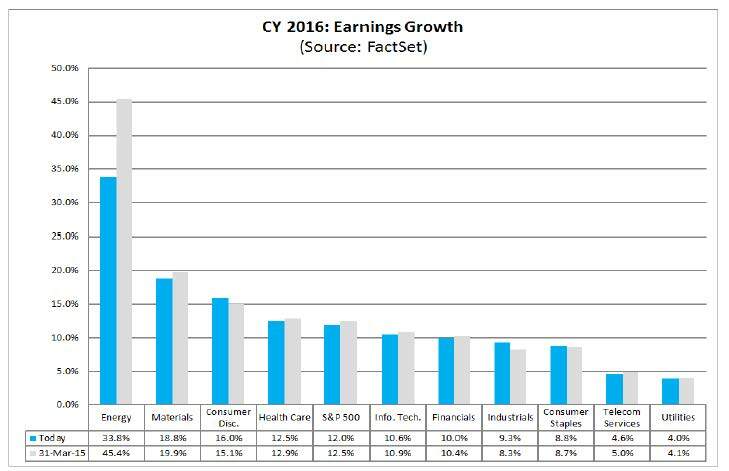 This entry was posted in Earnings, Earnings Season, Investing/Financial Planning, Market Comments and tagged Energy, EPS, Factset, Oil, Sectors. Bookmark the permalink.